I've debated long and hard over whether to sum up 2013 in a blog post and decided against it. Instead I thought I would write a post detailing what I hope will happen in 2014 and this is why this post is over a week after the New Year. For those interested in 2013 here is a brief summary. In 2013 I set myself numerous targets and to be fair I completed most of them. complete a triathlon at every distance - my main challenge was completed and in the process I learnt so much about my mental strength. #channelchallenge - Last New Year the gauntlet was thrown down. After some banter on Twitter me and @patjohn77 decided to see if we could theoretically swim the English Channel 6 times. I failed abysmally by completing 83 of the desired 210km. A paltry 40% but do you know something I don't regret failing in this as it is something I would like to attempt this year. I still swam over 80km and in the process massively reduced my swimming PB. So onwards and upwards for 2014. Firstly the big news. For those of you not in the know. Which if you follow me on Twitter will be none of you. I am officially a model. Me "a model". Who honestly saw that coming? You over there in the back? No you were just stretching I see. 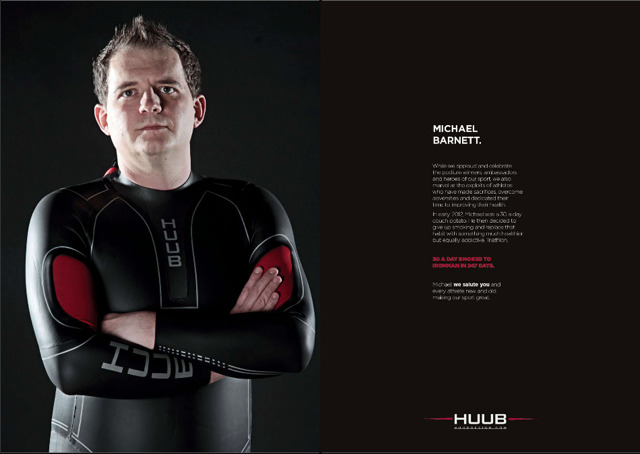 It's official I was contacted by Huub Design in November last year about featuring in a advertising campaign for Huub as my story is apparently inspiring. There it is again. That word which I love and hate in equal measure. So I rocked up to a hotel car park in Nottingham (how glam eh?) to meet Dean from Huub who drove me to a mill in Nottingham where I was photographed for about an hour and a half. The resulting photos then went to Huub's marketing people and they came up with the following advert, which has so far been featured in Triathlon Plus. I hope the advert gets seen by a smoker or two and they realise what is possible if you give up smoking. Those are the people I hope to inspire, to change their lives as I have changed mine. I'm immensely proud of the advert and am looking forward to working alongside Huub more if the opportunity arises. So far all the comments I have received have been positive and this makes me happy. 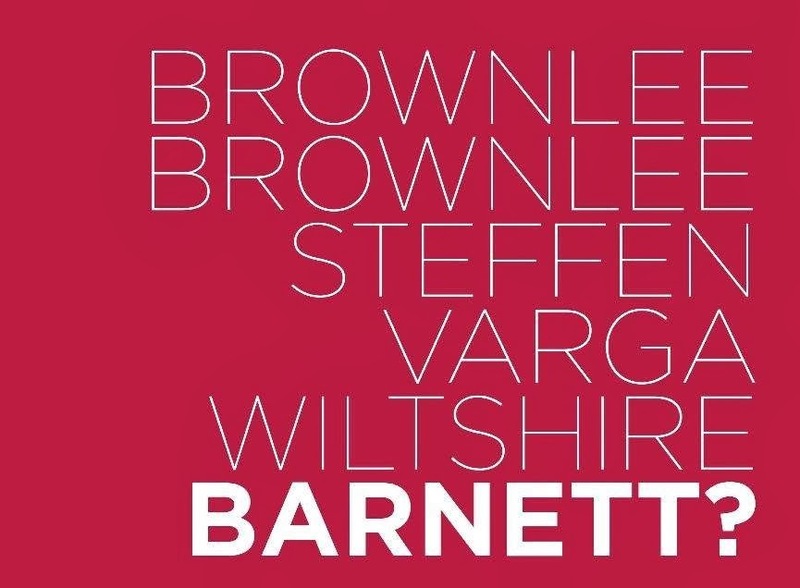 But then again who wouldn't be happy about being the "face of normal triathlon" or being in an advert alongside the Brownlees, Caroline Steffen, Richard Varga and Harry Wiltshire. Now back to 2014. What's in store for this year? Well my race calendar is filling up. Now I just need to find the cash to pay all my entry fees. And buy the wife a present for being so understanding (she added that in). Gainsborough 10km - I've never actually run a 10km running race and think it's about time I correct this. Clitheroe Triathlon - I wasn't hapy with my performance last year on the bike and want to set a PB. Well anything will be a PB after my chip malfunction last year where I didn't wear one at all. Epworth Triathlon - This race is close to me and I fancy some more race experience. I will use this as a training day. Outlaw Half- I needed a half before my A race to get my body used to the rigours of going longer. Southport Triathlon - Following my run lactate test where it was stated that I should race quicker shorter distances, I decided to enter this race. It is an ETU qualification race and I would like to see how far off the pace I am. The course looks fast which will play to my bike speed.Who knows what could happen come race day? Ironman Austria - My "A" race for 2013 and I can't bloody wait to swim in Worthesee. It's 25 weeks until Austria and I can't wait to hear those words "Michael, you are an Ironman". Bring it on. There are a few of us on Twitter going to Austria and I am loving the banter. Hatfield Triathlon - the one that started it all. Let's go and see how much I can smash my PB by. Outlaw - Again I want to set a new PB for the race. It was too hot for me last year. Leeds Tri Relay - I want to see if me, Stu and Martin can swim bike and run our way to another victory. Brigg Sprint - My favourite race from last year and again I will be PB hunting.but this time I will have company. Yorkshire Marathon - my first marathon. Well it had to be done one day. There are several goals I want to complete this year. help my Dad - my Dad has signed up to complete Brigg Sprint Triathlon and I want to help him in any way I can to get to the finish line. He's a 57 year old ex smoker who as far as I can remember did no exercise while I've been alive (apart from walking) until he was inspired by me to take part in his first triathlon. Now that's inspiration and it makes me proud that I inspired him to do this. sub 25 min 5km - this is my next logical target and the first attempt is 18th January. I will have a pacer (or two) to assist in this challenge. I feel like a Kenyan running the London Marathon. If I don't do it on the 18th. I will own this by the end of the year. #projectonehourswim - I want to complete the swim at either Outlaw or Austria in under one hour. I am getting quicker in the pool and believe this is achievable. improve bike speed - following my lactate test last week and the suggestion that I can easily increase my wattage on the bike, I hope to significantly improve my bike speed over this year. I plan on doing this by training to the plan as set by Blizard Physio and Kevin Dawson. I also plan on using TrainerRoad to train through the winter and break the monotony of time spent in the "turbo chamber". improve as an athlete - I want to improve as a triathlete and be the best that this body of mine will allow. With help from Blizard Physio (both through testing and keeping me injury free) I am sure that this year will see me make significant improvement in swimming, biking and running and thus become a better athlete. weight loss - As I hinted at last time the key to improving my bike splits lies in weight loss and I hope to lose more weight this year than I have to date since Feb 2012. This should help improve both my bike and run splits and this will be the challenge that I find hardest. I can honestly only remember once in my adult life when my weight has been below 15 stone and that was when I suffered from stress after losing my Mum. If you see me at a race, especially now you know what I look like, please say "Hi." I am a "Serious Runner"